Kids start out as a blank slate. Their brains develop very quickly from birth to three years old, and the development continues at an accelerated rate until they are adults. Improving your kid’s memory is a fun and easy activity. Games are the best way to improve memory and there are easy and fun ones you can play with your kids. You don’t need a lot of money or equipment to improve your kid’s memory. All you need are some basic supplies and imagination. If you need ideas, there are plenty of free resources on the internet. Your brain uses nerve pathways to keep brain cells connected. Information is stored in these brain cells for later use. There are many chemical reactions and nerve synapse responsible for brain function and memory. But the basic concept is easy to understand. When you learn a new skill or new piece of information, your brain stores this information using these chemical reactions and neural nets; your memory is a collection of this stored information. It’s sort of like a filing cabinet. The fitter your brain is the easier you can find the memories you need. Your brain is like the rest of your body; to be fit it needs to be exercised. Exercising your brain reinforces the nerve pathways and makes them work faster and better. Each age group has different abilities and skills. One of the key things to remember is if you make an activity too difficult, you will only frustrate your kids. Choose age appropriate activities and keep them fun. This will encourage learning and keep your kids wanting to be involved. Matching games – your kid can play matching games on the computer or use board games. Basically matching games help to reinforce memory and reward kids for matching up pieces of the game. There are websites with themed matching games you can print out for your child to play, or they can play online. Cards – card games not only help to teach math and number recognition, but they teach fair play and gracious winning. Word searches – these help your kids to recognize patterns and reinforce letter recognition. They also help with spelling. Crossword puzzles – if your child can read and recognize words, you may want to get them to do age appropriate crossword puzzles. These exercise the mind and help your child to learn to spell, too. Scramble games – you can use numbers or letters for this game. Show your child a word or number sequence and then mix it up. Have her put them in the correct order. You can increase the word and number sequence length as she masters this game. 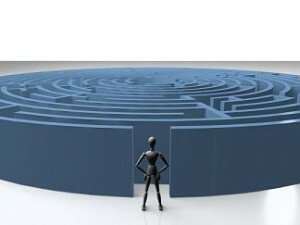 Maze games – mazes help to hone your child’s thinking skills. This will help to improve her memory by exercising her mind. Flashcards – these have been favorite learning tools for many years. There are many ways to use flashcards for memory skills. You can show your kid a pattern and have them match it, or use flash cards for matching games. Songs – memorizing songs is a fun and creative way to improve a child’s memory. Sing along with their favorite CD and then turn it off and see how much of the song they remember. Drum circle – have the kids sit in the circle with some small drums. (Coffee cans are a great drum. You can have the kids decorate them first and make them their own.) One child starts with a beat, the next child adds a beat and so on. This will challenge their memory and spark their interest in music. Scavenger hunt – a scavenger hunt is fun and builds your kid’s thinking skills. Leave clues around and have them hunt for small household items. You can leave them a reward at points in the hunt to keep their interest up. Just about any activity that is fun can be an easy to improve your memory activity for kids. Exercising your kid’s mind will help to improve their brain function, and in turn improve their memory. Keep the activities age appropriate and fun, and you and your kids will have a good time improving their memories. Teena is working for a self development resource website where can easily access hundreds are articles related to self development and download Self hypnosis Cds, binaural beats, subliminal messages and lot more. These are some great tips for improving your kids’ memories, but they’re also great ways to keep your own mind active, something research is starting to show can help delay onset of some mental issues associated with aging. I personally love doing crosswords, but I really do enjoy most of the others as well.